Communications sent to States by Rapporteurs and Human Rights Council working groups are the tools through which these experts respond to victims requesting their immediate action. For many people, this is the only channel of communication with the international human rights system. Although the special procedures’ reaction to victims’ demands may not be as fast as one may wish – the average time for publication is three months – a communication sent to a State at the appropriate time has the power to prevent the perpetration of greater violations, and even to save lives: the main objective is to protect persons facing urgent situations, and requiring immediate and effective attention which the State has failed to provide. Rapporteurs and Council working groups, aware of the importance of this mechanism, pushed forward the development of a communications report: a document published every four months, containing the communications sent during that period by special procedures, and which should, from 2010, serve as an input to the Universal Periodic Review. Six years later, the report is in fact put at the disposal of States in all three of the annual Human Rights Council sessions, but it is neither debated nor discussed at the heart of the Council, making it easily unnoticeable for involved actors. This begs the following question: what good is this report for victims and States, if it is neither analysed nor discussed within the very organ in charge of promoting and protecting human rights across the world? Debating the report in the Council, opening a space for it in the discussions agenda, would give States and victims the opportunity to evaluate States’ willingness to collaborate within the special procedures framework as well as their empathy towards victims seeking protection, through tools created to give them access to solutions and make them more visible. An analysis of the report would allow the observation of changes and improvements necessary to put in place and guarantee access to the special procedures communications system in countries with low rates of communications received or answers sent. Opening the discussion about the communications report during the Council’s sessions would offer a space to victims of violations, who should be at the center of this intergovernmental organ’s debates. A debate on the report would allow the analysis of States’ willingness to collaborate with the procedures system in various ways, such as: the percentage of answers sent by each State to received communications; the relevance of given procedures in relation to the different regions; the rate of use of these procedures by the victims, or the responsiveness of procedures to civil society’s work, which must be supported to achieve greater interaction with victims and States. 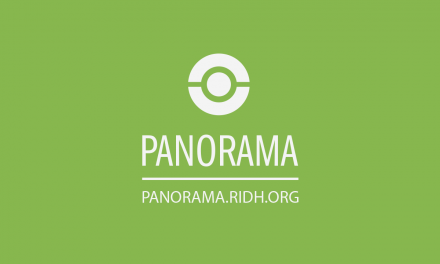 Based on figures and statistics, some cases of human rights violations could be considered globally, taking into account all of the reports presented to the Council. 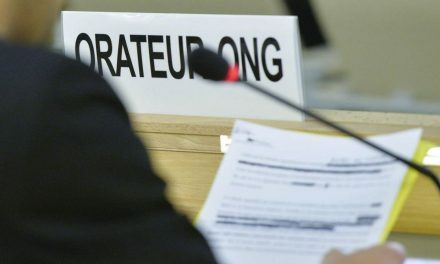 It would also be an opportunity to determine the most frequent types of violation by date, region and country, making a map of these occurrences which would allow, with the Human Rights Council’s collaboration, to put in place short- or medium-term measures and policies, and to assess the relevance of communications to the reported situations, considering the corrective measures introduced by the State from the perspective of victims. Studying and discussing special procedures communications would make possible the characterisation of ongoing violation phenomenons, which would facilitate the sending of warning signals in particular cases or ongoing processes. Allowing this analysis to take place within an interactive dialogue would grant victims and civil society an opportunity to discuss with States, with the Human Rights Council and with its special procedures. Victims’ presence in this exchange, conducted in an open and constructive manner, would be seen by society as a powerful sign of transparency within the Council. On the other hand, failure to open this space for debate, overlooking the claims spelt out in the report despite their being available, could be perceived as unwillingness to act in a transparent manner. This would act to the detriment of a credibility which, ten years after the creation of the Human Rights Council, needs to be strengthened in order for it to fulfill its mandate of promoting human rights and making sure that victims can truly access the protection system afforded by special procedures, and created by the Council itself. Undoubtedly, it is for States to make a decision regarding the opening of a space for this report in the Council’s agenda, since they are responsible for promoting and protecting human rights within this UN organ as well as in their territories, in compliance with their international commitments and national laws. Making the communications and special procedures system more effective would also depend on them, as it would require the allocation of more staff and a greater budget to the Office of the High Commissioner for Human Rights. It would be an opportunity to move from the constant rhetoric of discussions, often criticised by certain States, the High Commissioner, as well as victims, to the exercise of an open and transparent dialogue. The communications report is an instrument that can be used constructively. The challenge is to achieve this without politicizing the debate. For this space to be created, it will need to be built with the support of States and civil society. AnteriorOpinion: Pourquoi faire un rapport sur les plaintes des victimes s’il n’est pas débattu au Conseil des Droits de l’Homme? Director de la RIDH. 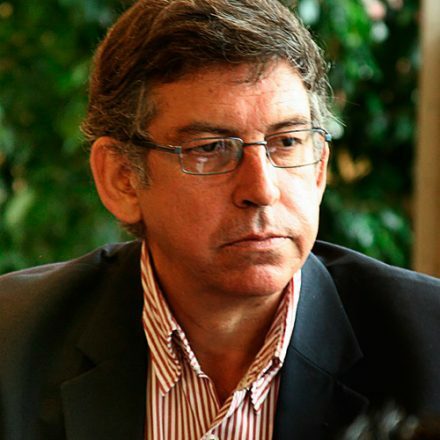 Abogado, defensor de los derechos humanos, conferencista internacional, formador en temas de derechos humanos, experiencia en diálogo entre sociedad civil e instituciones gubernamentales, en la elaboración de políticas públicas y en el sistema internacional de derechos humanos. Opinión: ¿Para qué un informe sobre las quejas de las víctimas si no se debate en el Consejo de DD. HH.? 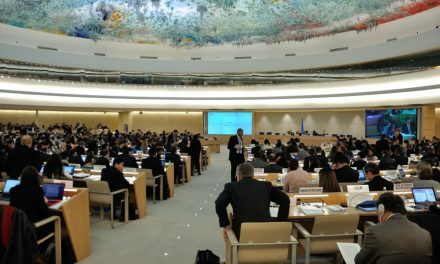 ¿Cuál es el espacio para la sociedad civil en el Consejo de Derechos Humanos de la ONU? 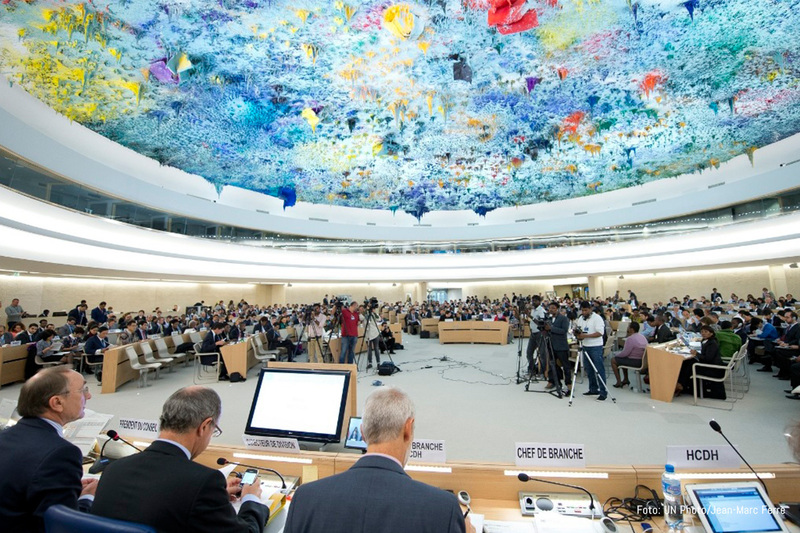 What space for civil society at the United Nations Human Rights Council?